President Donald Trump‘s meeting with Russian President Vladimir Putin is the main event in the week ahead. But for the stock market, what companies say about their earnings and whether Trump’s trade policies are affecting their future plans may have the most impact. Trump meets Putin on Monday in Helsinki, and the president says the Middle East, Ukraine and election meddling are among topics he will discuss. There will also be important testimony in the coming week from Fed Chairman Jerome Powell, who appears Tuesday and Wednesday before congressional panels on the economy and monetary policy. Several important economic reports are also expected, including retail sales Monday and the Fed beige book on the economy Wednesday. There are about 60 S&P 500 companies reporting earnings, including seven Dow stocks. Netflix reports Monday, while Johnson & Johnson and Goldman Sachs report Tuesday. Reports are expected from IBM and American Express Wednesday, Microsoft on Thursday, and Honeywell and GE on Friday. Analysts have said they are expecting another strong quarter, with earnings growth at more than 20 percent. But they are also watching to see if companies discuss the impact of Trump’s trade policies on future spending plans, input costs and profitability. Stocks in the past week closed sharply higher, with the S&P 500 up 1.5 percent to 2,801, its highest close since February, and an important psychological level it could launch from on Monday. Nasdaq was up 1.8 percent at 7,825, while the Dow was up 2.3 percent for the week to at 25,019. The small-cap Russell 2000, however, slipped 0.4 percent to 1,687. Stocks had a rocky run midweek after the Trump administration announced new tariffs on China but rebounded Thursday and Friday. “The nice thing is the escalation of trade news is behind us. It’s static for the time being. The pattern in the market is we react to the announcement and as time passes we wait for the next shoe to drop,” said Hogan. He said the market now is watching for any positive developments, like the resumption of talks between the U.S. and China. Leo Grohowski, CIO at BNY Mellon Wealth Management, said trade is a cloud over the market, and if the trade wars escalate it could become a big negative. “If this carries on, those earnings estimates come down, economic growth comes down, but those inflation numbers don’t come down. They could go up. Stagflation is not a good number to associate with equity market performance. We’re not anywhere near there, but I worry about it more and more,” he said. Grohowski said he expects a very strong quarter for earnings. “What we could see happening is tariffs could join the weather as an excuse for companies reporting poor results,” he said, adding it would be early for companies to cite that as a reason for an earnings miss. But he said there will be a lot riding on the outlook, and that’s where companies could discuss trade wars. 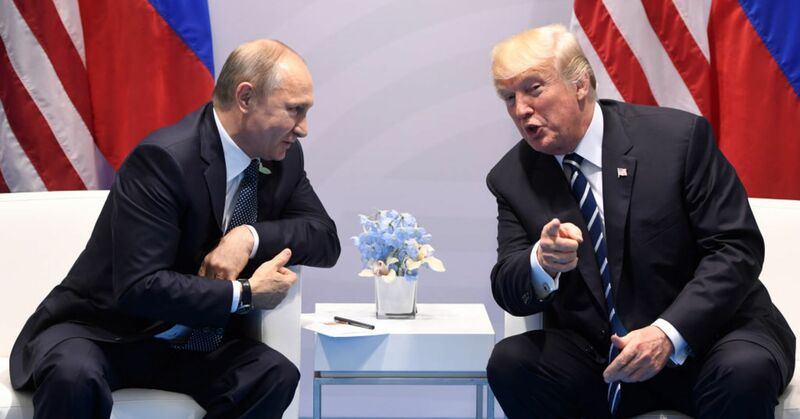 Angela Stent, director of the Center for Eurasian, Russian and East European Studies at Georgetown University, said a positive would be if the two leaders exit the talks with an agreement for further discussions by their representatives. “The best outcome in many ways would be for them both to come out and say, ‘Yes, we had a good discussion. We agree we have to normalize relations,'” she said. She expects Ukraine and Syria to be topics of discussion and that Trump will push on Iran. The U.S. is going it alone in putting Iran back under sanctions, after withdrawing from the agreement on its nuclear program. Russia remains in the nuclear deal. 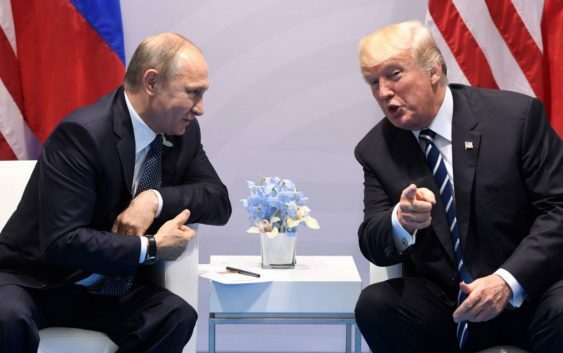 Stent said it would be a negative if Trump comes out of the meeting and says that Putin wasn’t involved in election meddling, following the indictments Friday of 12 Russian intelligence officers for hacking Democrats during the 2016 election. “There’s so much more in this for Putin than there is for Trump. It’s not clear what the U.S. gets out of it. After the West and Obama tried to isolate him over the Ukraine, he’s now sitting at the table as an equal and Trump is saying flattering things about him. That’s important for him domestically and internationally,” said Stent.